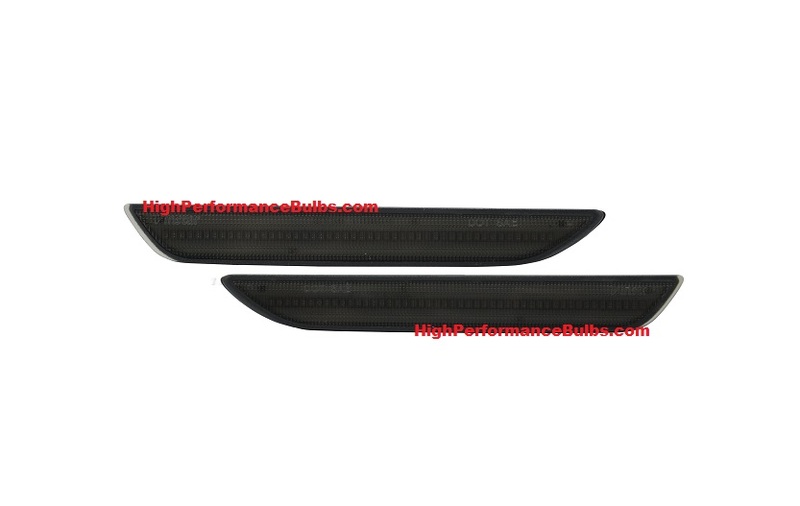 Upgrade your dim dull factory standard bulb rear side markers to our new Smoked Lens Red LED side markers for a custom modern look and better visibility! The Smoked lens looks great on many different colored Mustangs for a custom look and brighter visibility at night! 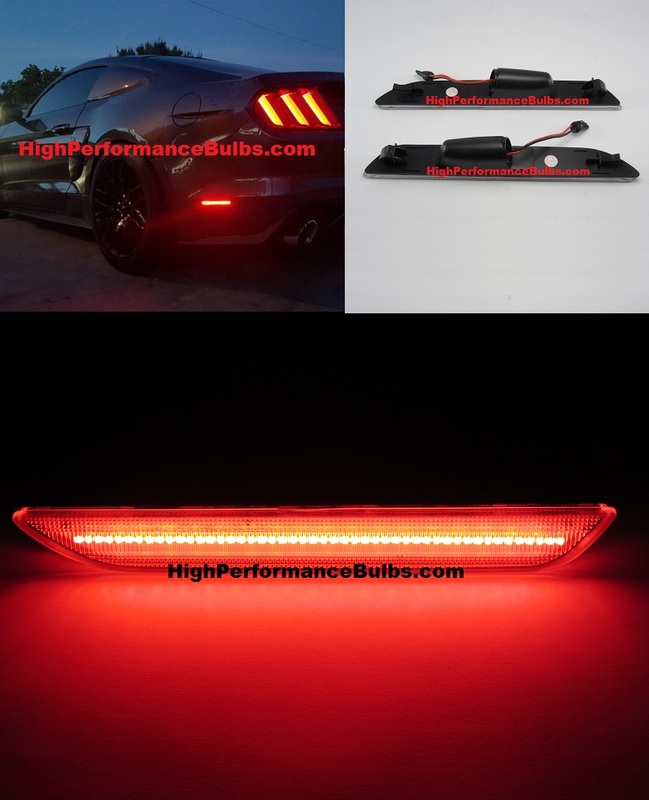 With 48 high quality super bright LEDs the length of the light, these will give your Mustang a great clean custom and modern look during the day and at night!